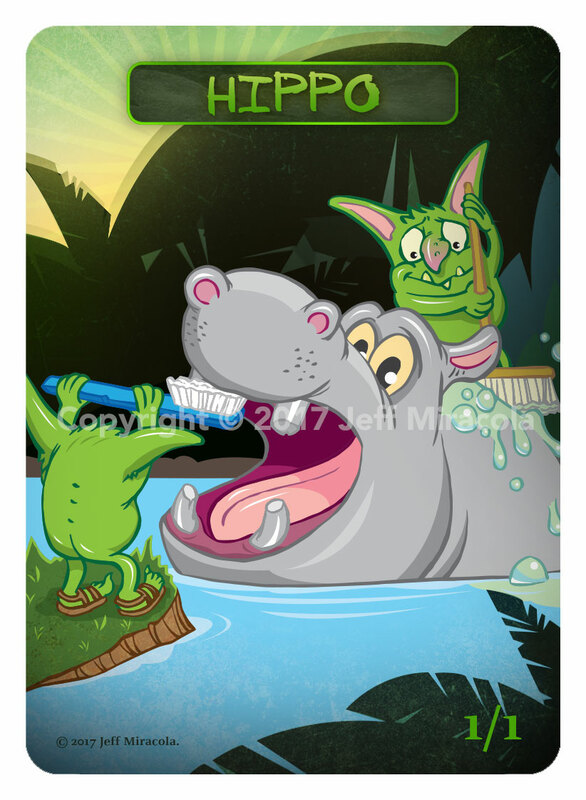 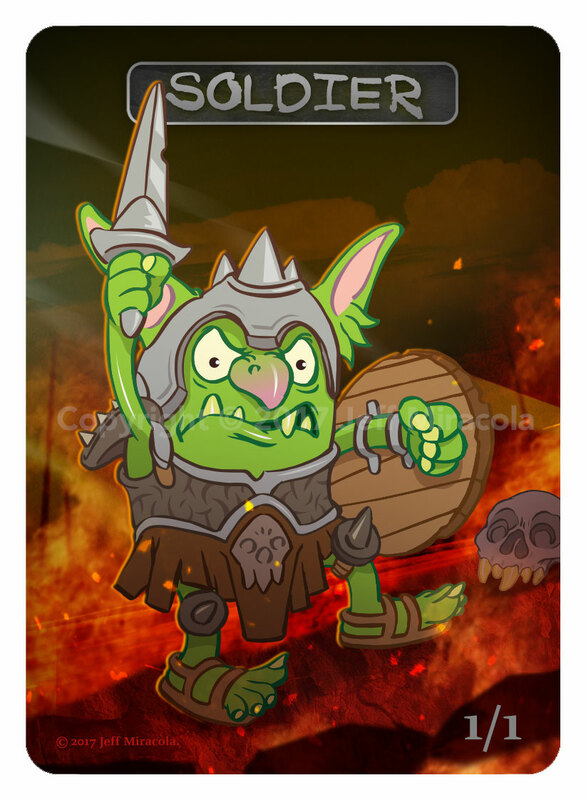 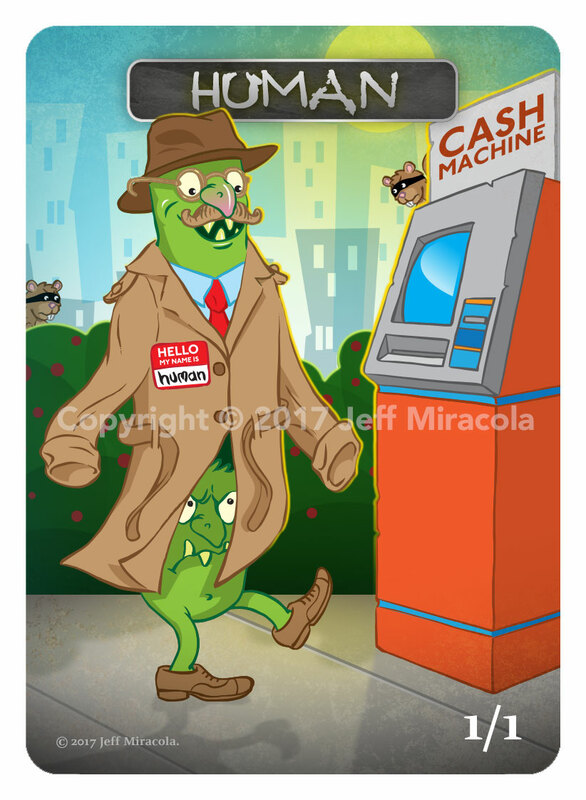 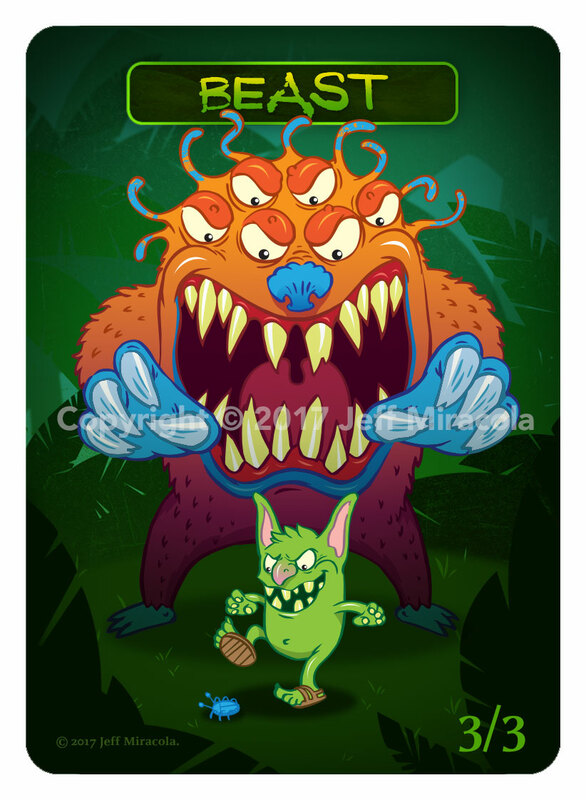 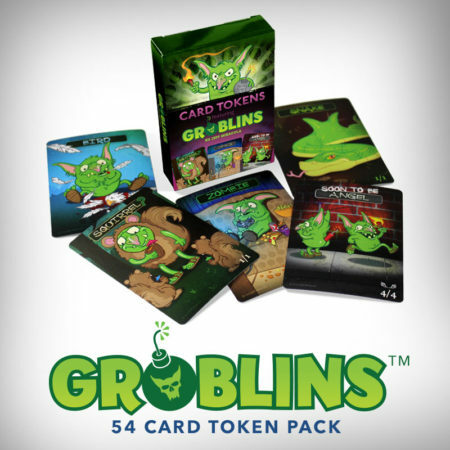 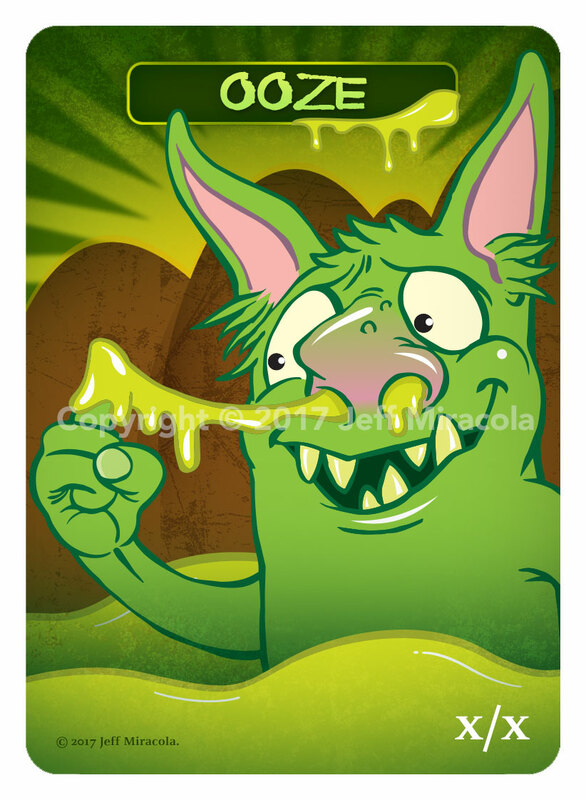 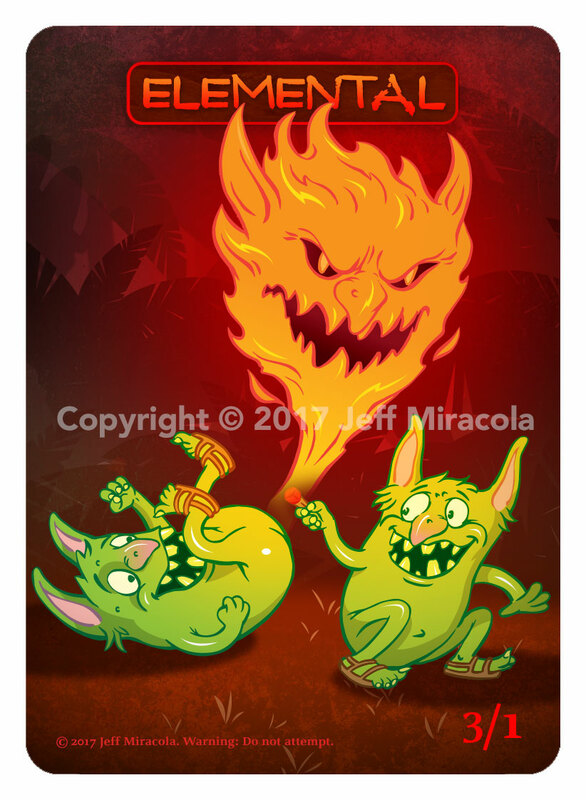 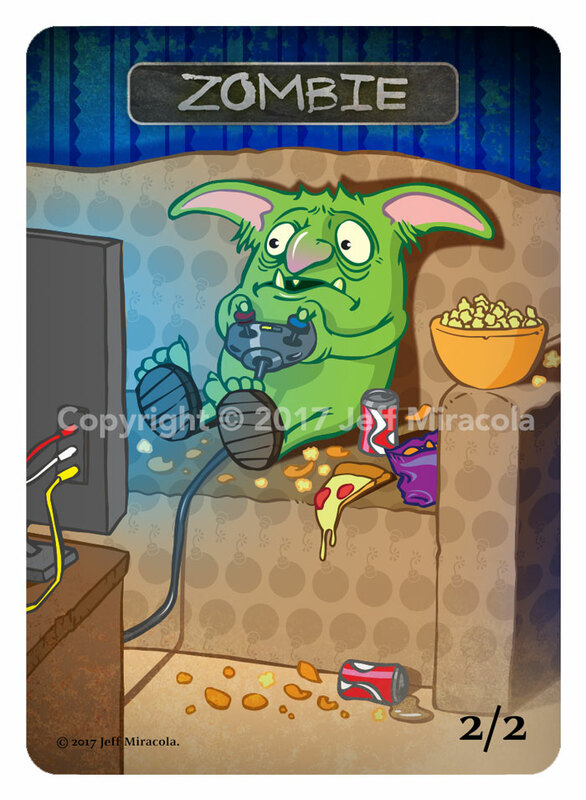 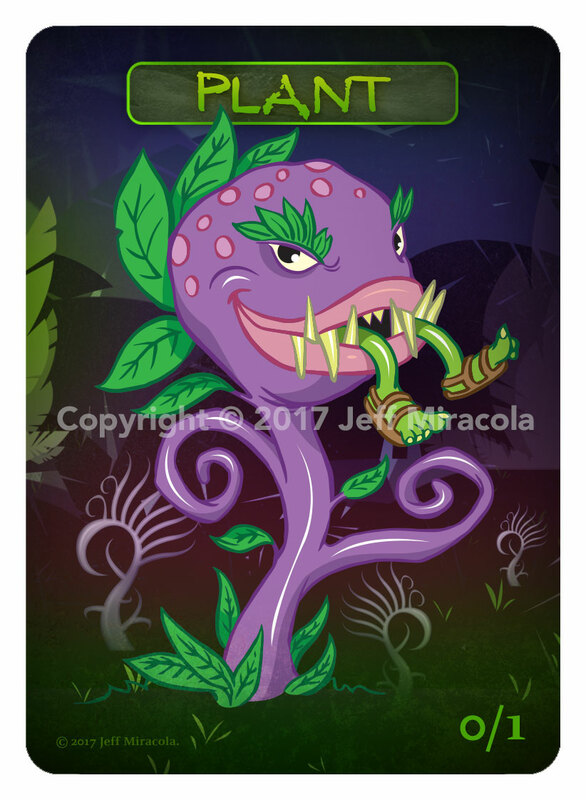 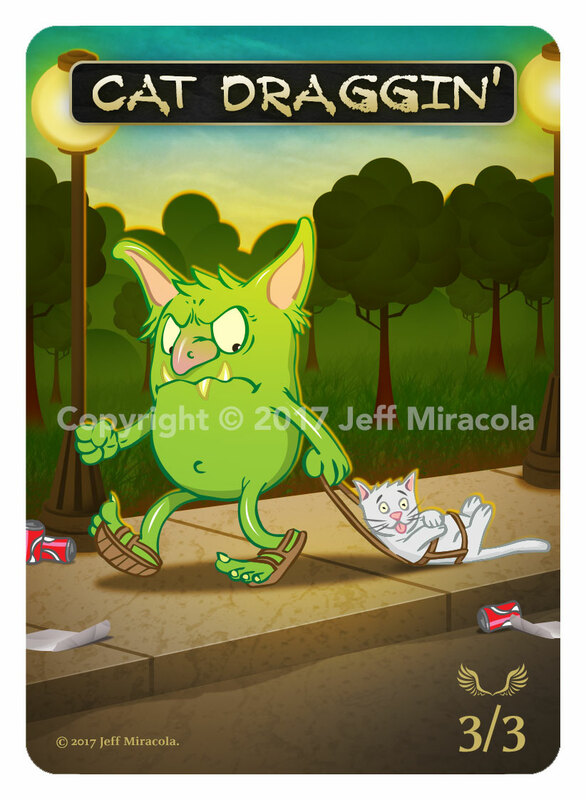 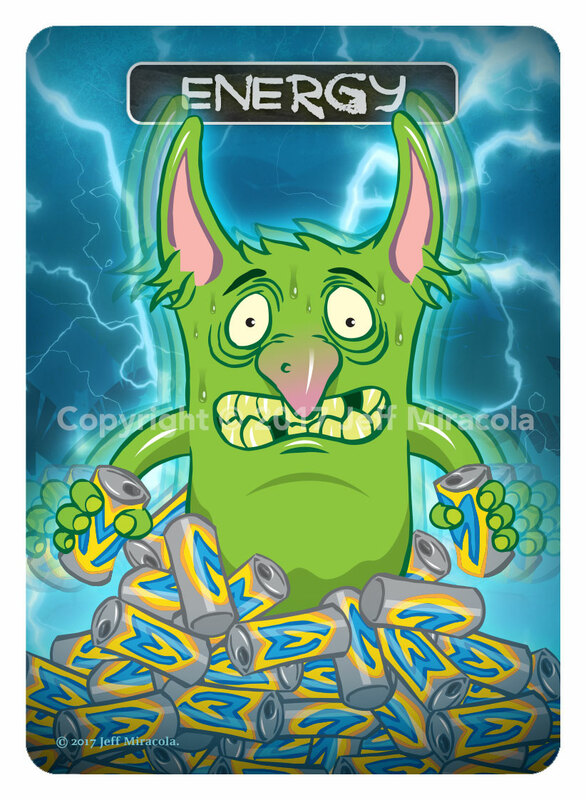 The Groblins Card Token deck features 54 fiendishly funny card tokens printed in full-color on professional quality 300 GSM blue core card stock. 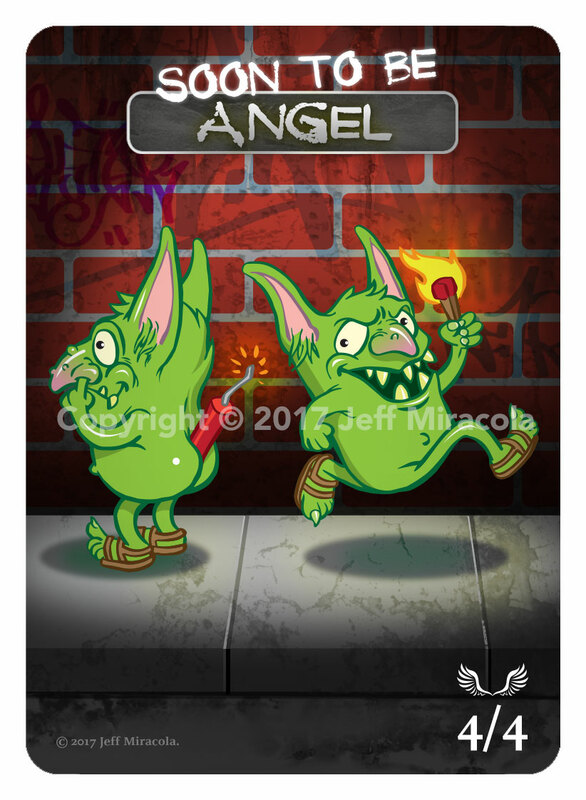 The tokens are industry standard game card size (Same exact size as Magic: the Gathering cards) and easily fit into perfect sleeves. 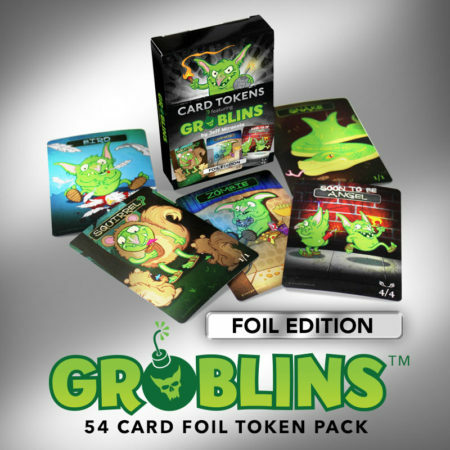 The card tokens come nicely packaged in their own full-color, UV coated tuck box.